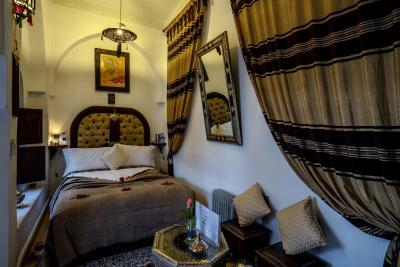 Lock in a great price for Riad Anabel - rated 9.7 by recent guests. 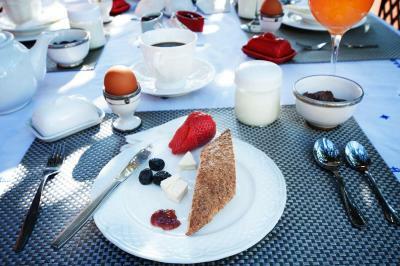 The breakfast is so so so nice!!! Food is very delicious! 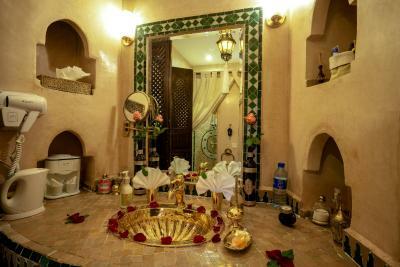 We did a Maroccan cooking class at the Riad which was a great experience and a lovely end to the holiday. We were able to eat the food for dinner afterwards. 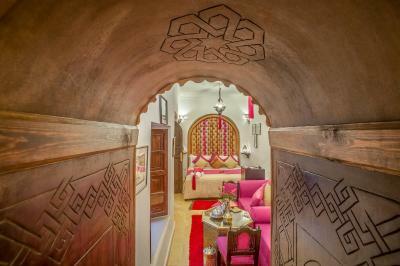 The Moroccan decor and detailing of the whole Riad was amazing. We were looked after very well and little touches like giving us a local mobile for emergency use made us feel very safe. 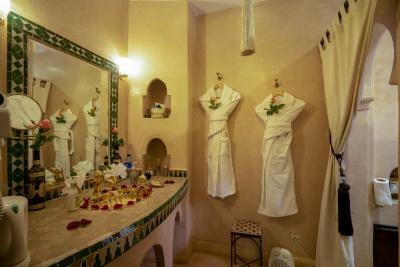 We loved the authentic breakfast and would recommend the hammam experience. 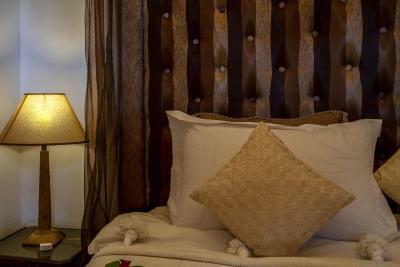 Communication was very quick and helpful before and throughout our stay. 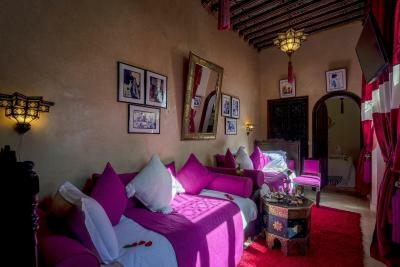 The room was dark and quiet at night but within walking distance of all sites in the old town. 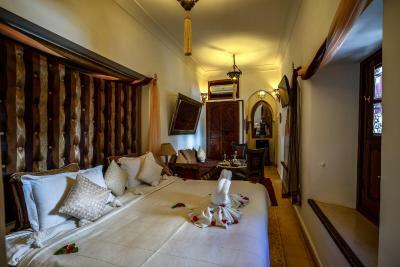 Riad Anabel is such an amazing place to stay, full of character, extremely clean and family friendly which is a few minutes walk away from the main square. Our host, Mohammed was absolutely amazing and made us feel so welcome from the moment we arrived until we set off. 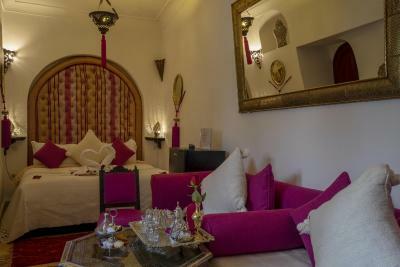 We loved having time at Riad Anabel. It really was magic!! 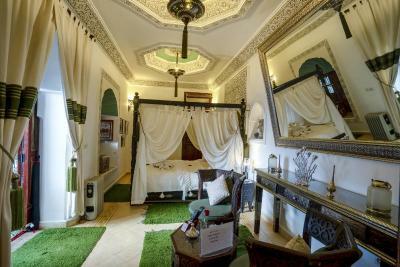 We couldn’t recommend this Riad more. A fantastic place!!! Highly recommended!!! The staff is amazing, the most helpful, so friendly!! You feel like you are at home! The staff were all so friendly and so helpful. 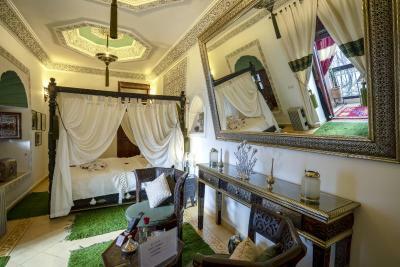 The Riad is beautiful, exactly what we wanted for our stay in Marrakech. 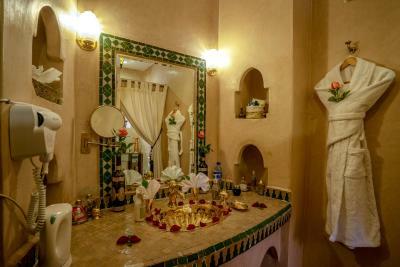 The room was cozy and delightful, the courtyard and roof terrace were gorgeous; breakfast was delicious (cake, coffee, tea, yogurt, tajine eggs, olives) and made fresh each morning. The staff were kind, friendly, and helpful for everything we needed. 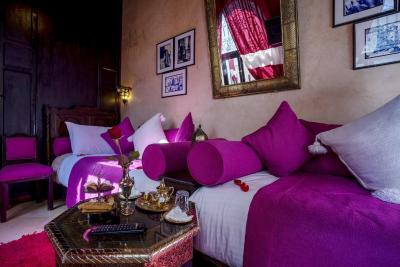 I would stay here again any time I'm in Marrakech. Staff were very friendly and helpful. 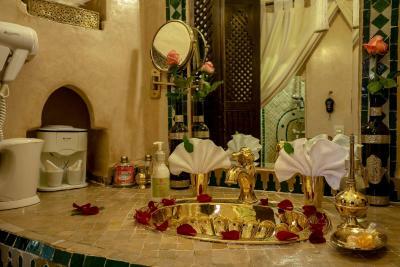 Riad was very clean and well decorated with rose petals, they do take a lot of care in making sure it the whole riad is well presented. 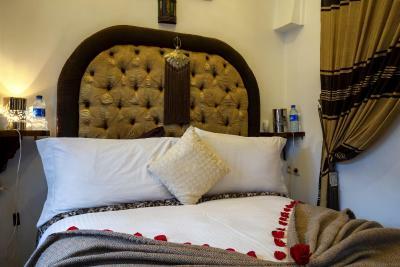 Very central location so easy access to Jemaa El Fna and the souks. 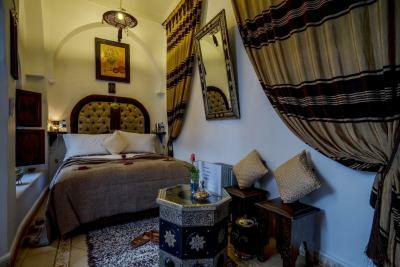 Really nice riad very close to the main square and souk. 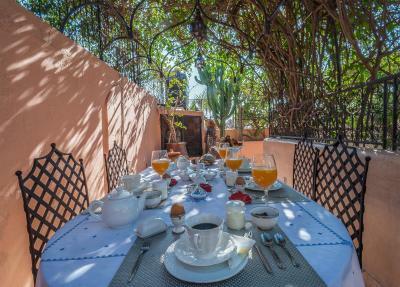 The breakfast was great, and we were really pleased that we had dinner there one night, as it was the best tagine we had during our stay in Marrakech. Owners helped us organise taxis when we needed them, and gave us a local phone to use. 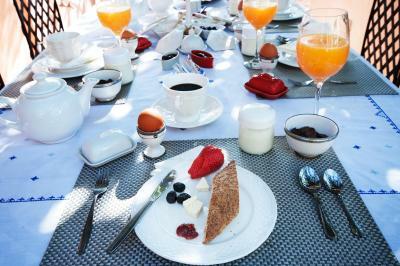 The owner Habiba and the staff were very nice and kind, everything was so clean, the breakfast at the rooftop was amazing and delicious. When we left, we forgot our scarf in the room and we didn’t even notice till they contacted us that they found it in our room. 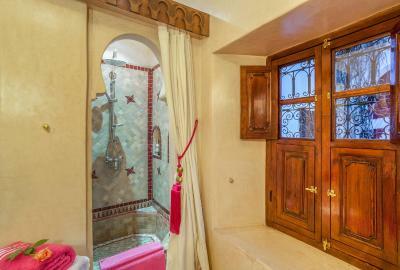 Also very good location, only 5min away from the center- the main square in the old city. We already miss this place. 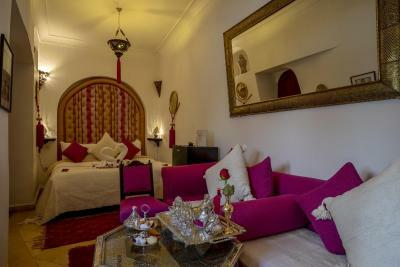 Riad Anabel is situated in central Marrakech, just a 5-minute walk from Jemaâ El Fna Square and the Koutoubia Mosque. 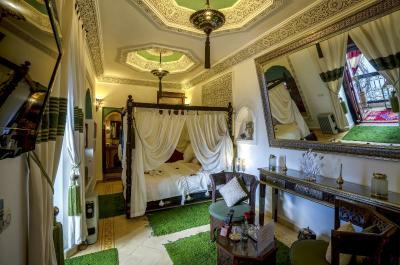 The riad offers a rooftop terrace, a plunge pool and a traditional lounge with a fireplace. 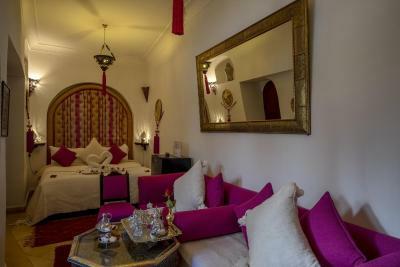 The air-conditioned guest rooms at Riad Anabel feature an authentic Moroccan décor and a seating area. 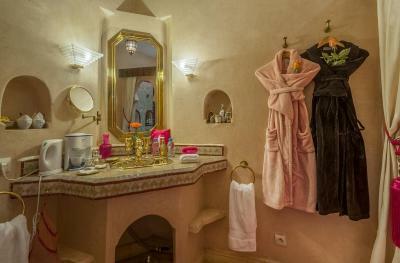 Each room has a wardrobe and a private bathroom with a shower. 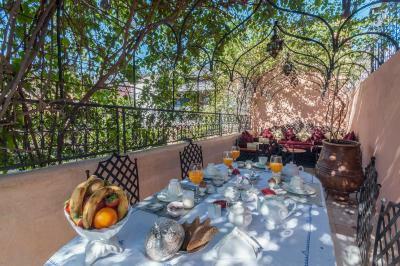 Breakfast is available in the morning and Moroccan cuisine can be enjoyed in the dining area. 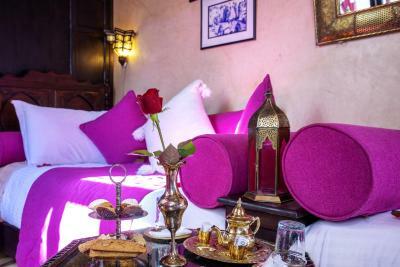 Riad Anabel offers free Wi-Fi, several lounge areas and a patio with a fountain. 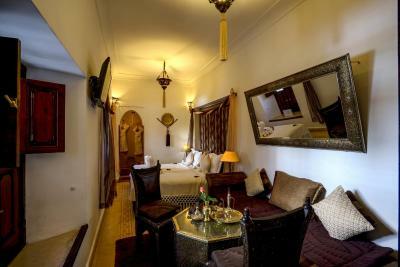 Marrakech Train Station is 2.5 miles from the riad and Marrakech-Menara Airport is 7.5 miles away. 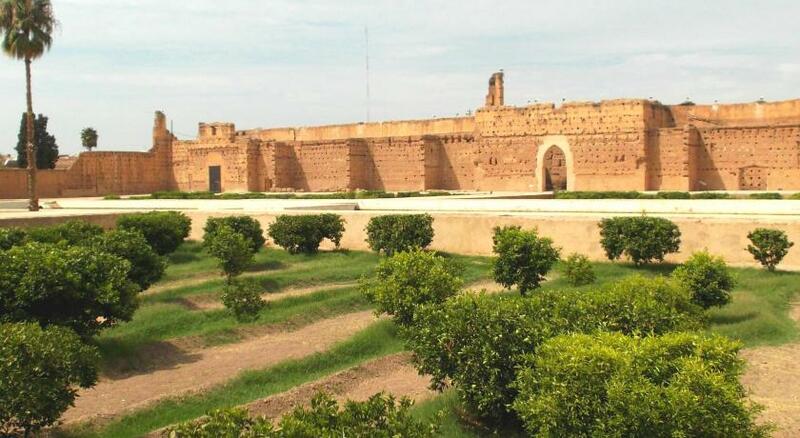 The property is 700 yards from Bahia Palace and 0.8 miles from the Ben Youssef Madrasa and the Almoravid Koubba. 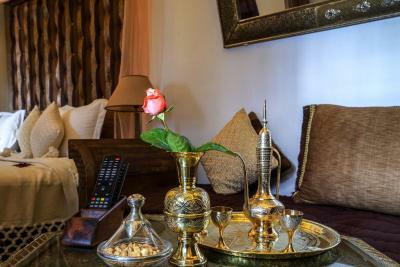 Riad Anabel has been welcoming Booking.com guests since 1 Mar 2013. 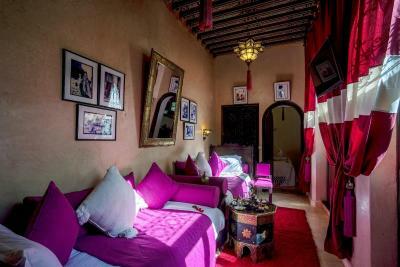 When would you like to stay at Riad Anabel? 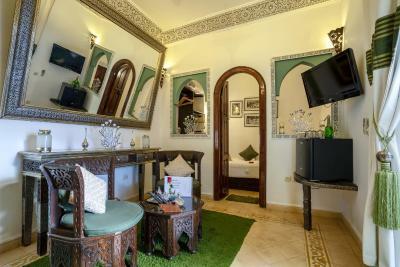 This air-conditioned room features a seating area, a private bathroom and a traditional Moroccan décor. 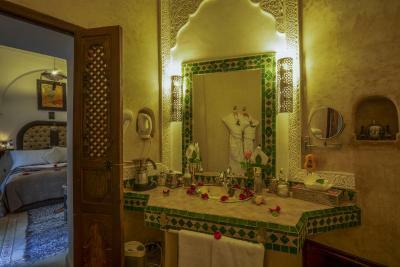 This air-conditioned room features a seating area and a pool view, a private bathroom and a traditional Moroccan décor. 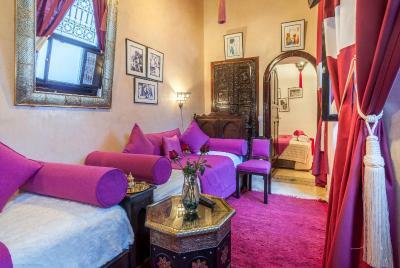 This air-conditioned room features a seating area, a private bathroom and a traditional Moroccan décor. Free bikes are available. 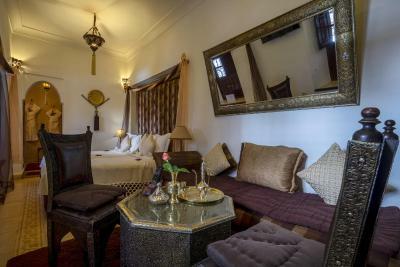 This triple room features a patio, minibar and seating area. Free bikes are available. House rules Riad Anabel takes special requests - add in the next step! 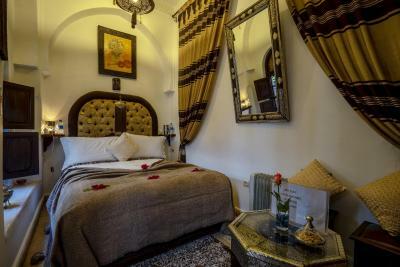 Up to three children under 6 years are charged EUR 20 per night when using existing beds. 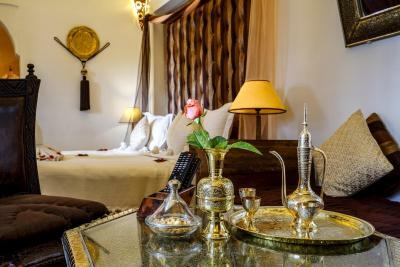 Riad Anabel accepts these cards and reserves the right to temporarily hold an amount prior to arrival. 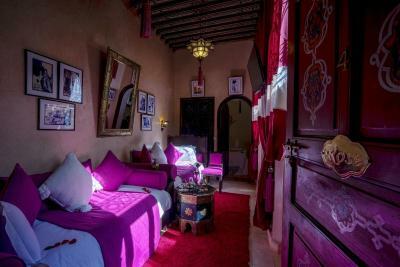 A very welcoming, cozy, clean place in Marrakesh! 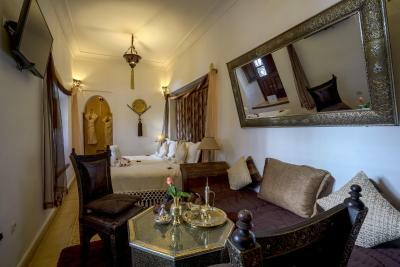 I think the room a little small, and the duvet not very comfortable. 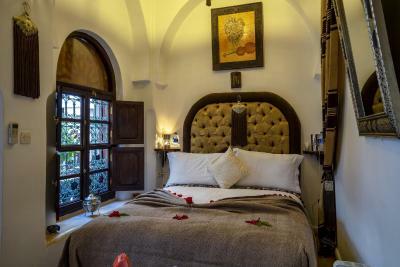 Enchanting location, truly pleasant, super sweet and pretty romatic, with a gorgeous inner courtyard downstairs, a beautiful sun teracce upstairs and tons of little drop dead beautiful things in between. 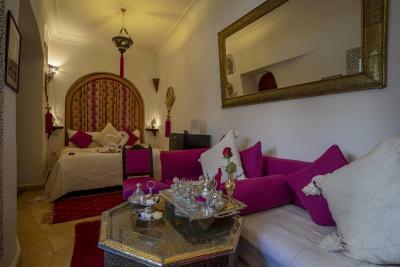 Suite Boungainvillier is defintely one of the most lovingly decorated rooms we stayed in until today. Every morning you wake up in a splendorous, cozy canopy king size bed, open up your eyes to the sun rays that are tickling your nose and to the twittering of the birds outside ..just open your vast rainbow coloured windows and you're right in your own rooftop garden. 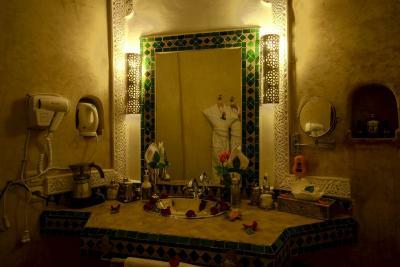 You really feel like if you were in a thousand and one nights ..all the more with the interior in the bathroom, that waits for you. Pretty simple to relax in here! 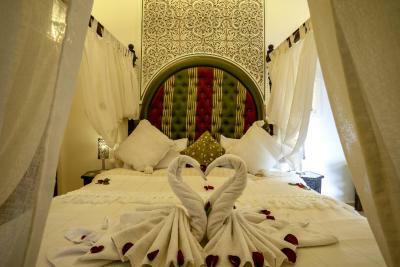 This riad is truly the perfect place for couples to stay. 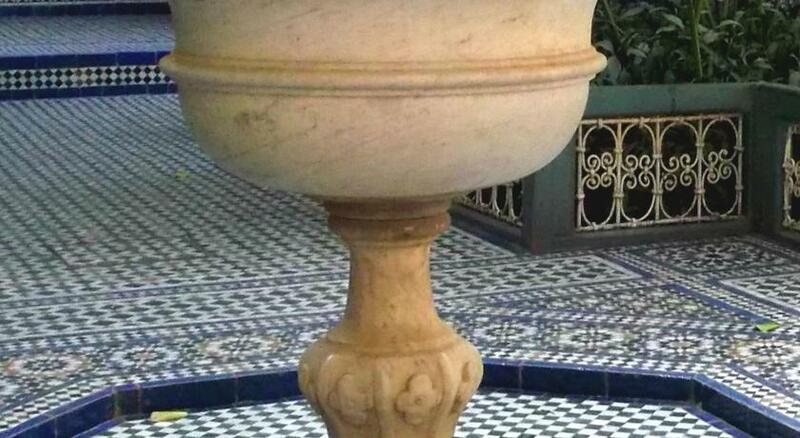 An oasis in the middle of the medina. 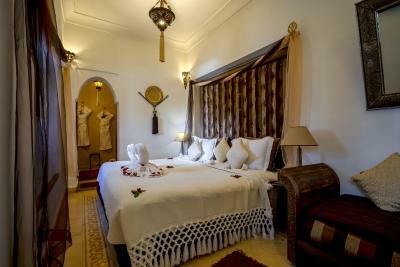 But the one thing besides all this and that makes this place a perfect package to stay is the staff! Every single one of this team is incredibly caring, helpful and generous. You always find a friendly smile, an open ear, a helpful hand and handy tips. 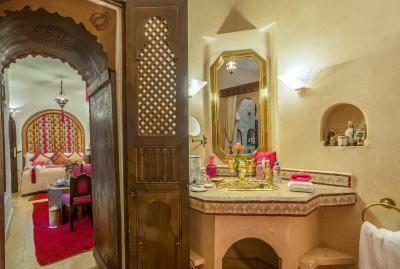 From the first second you arrive, until the last you'll leave, it's your very own Arabian nights story! Thanks to Habiba and her team for this beautiful stay (and the cake) !!! 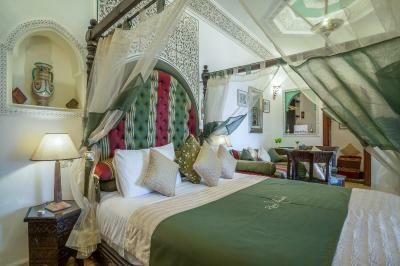 Can be a bit loud at times, but this would be the case for all riads i'm sure, so just be mindful of that if you are a light sleeper. Was noisy in the mornings as the roof terrace was cleaned, which woke us up every day. 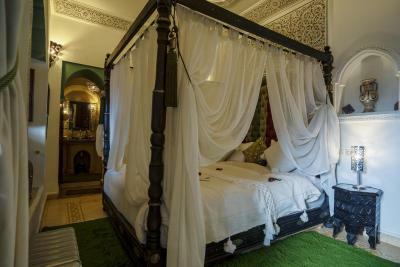 We weren't told about a party that was taking place in the riad one night, which was a little frustrating. 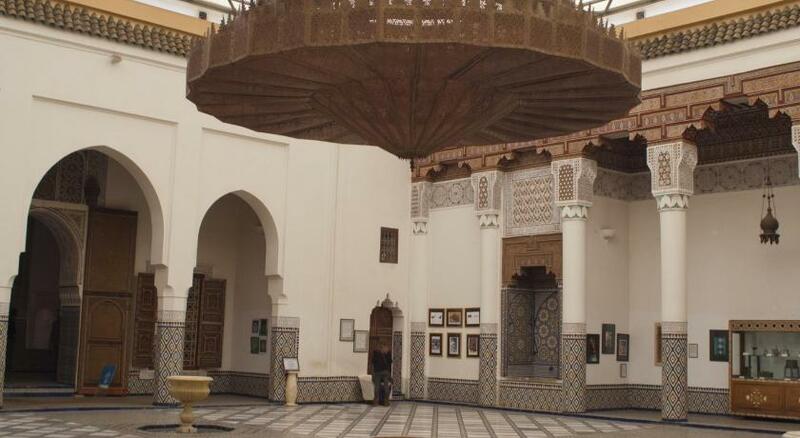 We also weren't told how to get into the riad later in the evening, so we were locked out for 45 minutes. However this was dealt with very well by the owners.